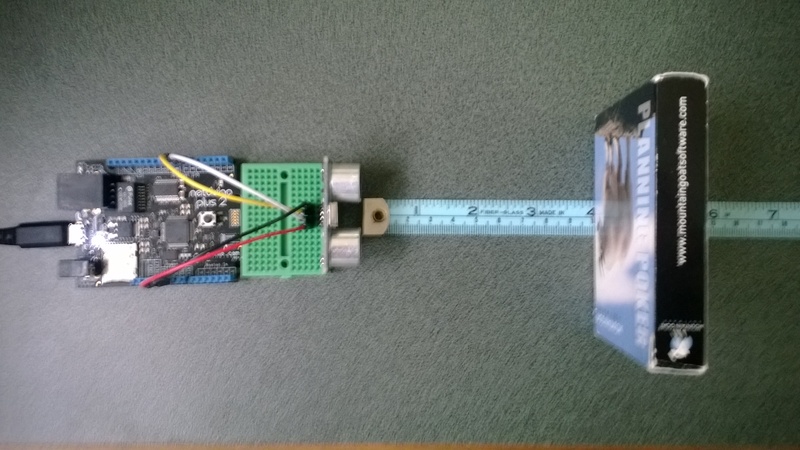 This entry was posted in .NetMF, CodeClub, Netduino, SeeedStudio, Sensors and tagged CodeClub, Netduino, NetMF, sensors, Ultrasonic ranger. Bookmark the permalink. What model sensor were you using, HC-SR04 ? Could you post a photo of your Netduino & wiring so I can see if I can spot what is wrong?